This is my intention. Mom shouldn’t have left me alone. 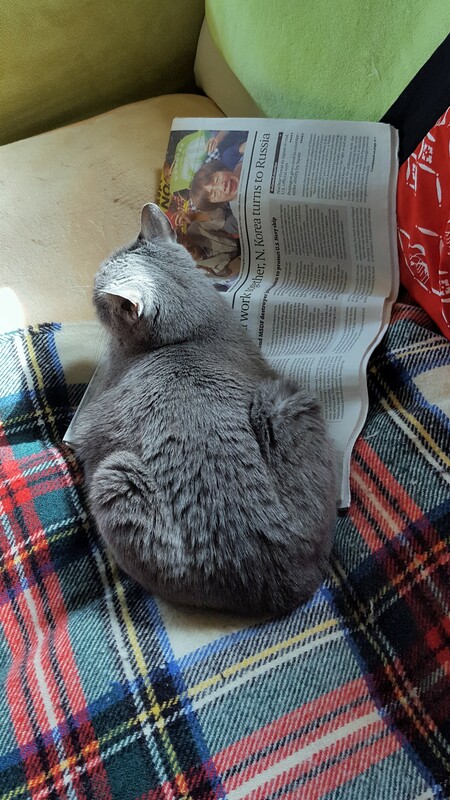 She tries to bend down on newspapers even after coming home. No, you cannot, hiss! Brush me, look at me eating and hold me. That’s it, purr. It is cool today, a bit freezing for me. I had to stay in the restroom twice in the morning. Now it’s getting better. Meow, what’s this blue one? 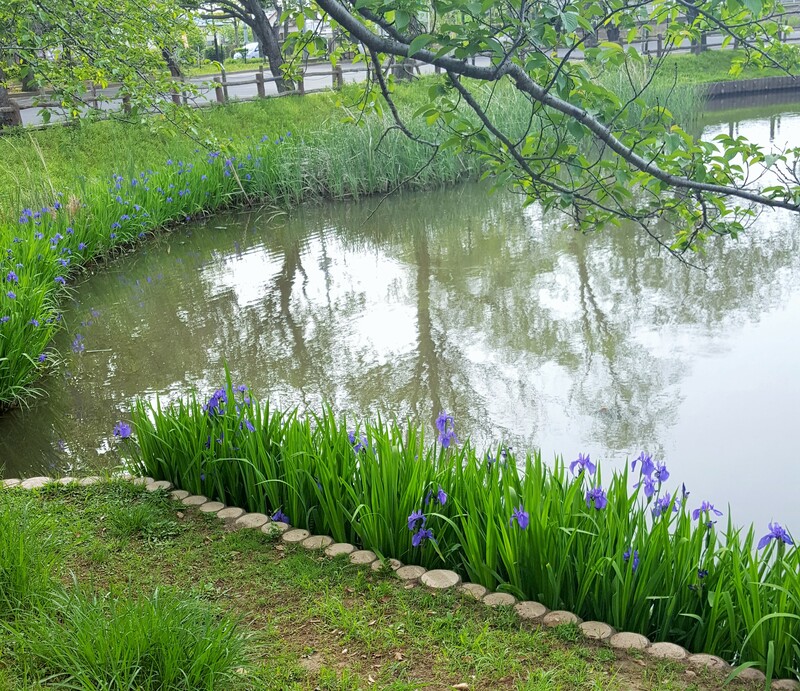 Iris, you went out to see them at 乙戸沼 Park.